Vibration meter kits and training courses designed for the Control of Vibration at Work Regulations 2005 and similar international vibration measurement legislation. Covering the limits of exposure from tools and equipment, the Control of Vibration at Work Regulations 2005 are a standardised approach to risk assessment from hand-arm vibration (HAV) and whole-body vibration (WBV). The regulations cover action and limit values for vibration exposure (including weekly averaging), health surveillance and monitoring protocols. Our kits have been put together to help measure and monitor worker’s exposure to vibration and our training course gives you the full understanding of how vibration meters work, testing and measuring HAV and WBV vibration and understanding the results. If you are unsure of which meter is right for you or want help in where to start with vibration measurements then contact us today. We can advise on the right training and meters for your application or, if the job seems too daunting, we can provide a consultancy for your company. 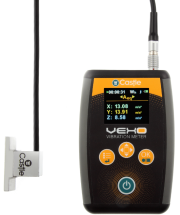 Castle Vexo H GA2006H – Hand Arm Vibration Meter is the UK’s best selling Hand Arm Vibration Meter, providing the user everything they need to carry out vibration measurements on power tools. At less than £2,000, this hugely popular instrument is a favourite of health and safety professionals looking to take a hold of their vibration assessments in the workplace. For full compliance of the Control of Vibration at Work Regulations the Pro-DX Excieo Vibration Meter range is the perfect solution. Available in several flavours which are ideally suited to hand arm vibration, whole body vibration or a mix of the 2, the Excieo vibration meter kits are a complete solution and available to buy now. VK024 Excieo Hand-Arm Vibration System contains the GA2005H (hand arm vibration model), one single tri-axial accelerometer, VIBdataPro vibration analysis software and all necessary accessories all in a handy case. VK025 Excieo Whole Body Vibration System contains the GA2005M (capable of whole body vibration measurements), a tri-axial seat pad accelerometer, VIBdataPro vibration analysis software and accessories in an attaché case. VK026 Excieo HAV and WBV Vibration System combines the VK024 and VK025 kits to provide an Excieo vibration meter, accelerometers for measuring hand arm vibration and whole body vibration, VIBdataPro analysis software and all require accessories in a kit case. VK007 Pocket Vibration Meter Kit is the ideal starting point for companies needing to check vibration levels. 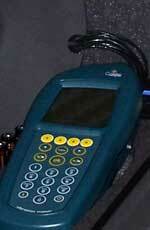 These vibration meter indicators can be used to take simple measurements quickly and easily. The VK007A kit contains a GA2003 Pocket Vibration Meter that can measure hand-arm vibration levels, acceleration and velocity while the VK007B kit with a GA2002 Pocket Vibration Meter can measure acceleration, velocity and displacement levels. Both meters come in a handy case with accelerometer and accessories.